While most attention in the media these days is devoted to opioid abuse, it is important to remember that the most abused drug in the country is alcohol. Although both inpatient and outpatient alcoholism treatment programs are available in almost all US locations, according to the Substance Abuse and Mental Health Services Administration (SAMHSA), fewer than 10% of the millions of Americans who suffer from alcohol abuse disorder (AUD) receive rehabilitation services in a professionally-led addiction treatment environment. One treatment option that is becoming more popular is inpatient care, in which treatment for alcoholism is provided in a residential setting. These in-house alcohol treatment centers typically require you to live at the facility for a fixed period, typically between 30 and 90 days. This time spent in a distraction- and temptation-free environment enables doctors, therapists, and the patients themselves to focus completely on rehabilitation, and thus increase their chances of success. In this article we’ll provide an overview of inpatient alcohol rehab programs. If you would like more information, or to ask questions of your own, we urge you to call our 24-hour hotline at (888)-459-5511 to speak with a knowledgeable representative. What IS inpatient alcohol rehabilitation? Residential alcohol rehab involves “checking in” to a residential facility, which can either be a discrete and isolated wing of a larger hospital or health complex, or a standalone facility. You essentially put your life on hold for the period of time you are in rehab, and commit to staying for an agreed-upon period of time. Inpatient treatment – and thus taking a time out from your daily life – can be very effective for those who really want to become sober, especially those who have tried other approaches that didn’t work for them. The actual length of time spent at an inpatient facility will vary depending on individual circumstances, but the first part of your stay will involve a period of medically supervised detoxification. The detoxification process is followed by other forms of therapy and activities designed to help resident patients examine beliefs or negative self-concepts that may be damaging them and perpetuating their addiction. These therapies seek to eliminate destructive patterns of behavior and replace them with new, healthier patterns. What Types of Alcohol Inpatient Treatment Exist? Government– or state-funded facilities, which tend to be focused on providing help to people with low incomes and/or no health insurance to help pay for rehabilitation. Services at these facilities are either free or based on your income. They do not necessarily represent a low level of care because they are closely monitored to ensure that their staff is composed of qualified professionals and that they are providing mandated levels of rehabilitation care. Private facilities, which often provide a higher quality of treatment for alcoholism, and are more often covered by private health insurance. They have a staff that is available around the clock to attend to your needs. Many of these facilities provide healthy alternatives to alcohol use, such as sports, nature trails, horseback riding, or other group activities. Some are truly luxurious, with food and accommodations that rival 4- and 5-star resorts. Naturally, these types of rehab facilities cost more, but if you have private health insurance that you purchased through the Healthcare Marketplace (Obamacare), chances are it will completely cover treatment of alcohol addiction. Both types of centers offer fulltime inpatient rehab services, outpatient services, and partial hospitalization. Partial hospitalization services include a range of intensive and structured activities for people with alcoholism, including behavioral treatment and medication management, for at least 20 hours per week based on an individualized treatment plan. In some states, a third option is possible, non-profit treatment. These inpatient alcohol rehab centers charge either no fees or lower fees than private centers, but they may have long waiting lists, and you may have to undergo some kind of assessment to make sure you qualify for their programs. What Happens in an Alcohol Inpatient Rehab Center? Initial examination. Because your health is the facility’s #1 priority, you will receive a full physical and psychological examination. This will help the doctors and counselors design a treatment program that is tailored to your needs and that gives you the highest likelihood of success. Detox. 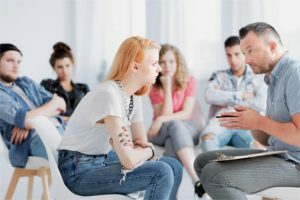 Unless you have gone through a detox program immediately prior to checking in, the first week of your stay in a residential alcohol treatment center will probably involve a period of medically-supervised detoxification. This is typically the most difficult part of recovery because your body has to deal with the physiological effects of stopping alcohol use. These effects can sometimes be unpleasant, so if necessary they are managed with the help of medications administered by physicians experienced in recovery. Sleeping arrangements depend on the facility and its specific approach. Some inpatient alcohol rehab centers require patients to have roommates to avoid feelings of isolation; others offer private rooms. Eating arrangements may similarly vary. Some facilities have group sit-down meals, and in others, patients have kitchens where they can prepare their foods. Be sure to let the staff know about any special nutritional needs you may have. Relationships – In most in-house alcohol treatment centers, relationships between patients are not encouraged, and may be forbidden. This is to ensure that your primary focus remains on recovery. Contact with friends and family. Some facilities may advise not staying in constant contact with friends and relatives during inpatient treatment, especially if they may trigger relapses. However, other facilities allow and encourage family members to play an active role in the recovery process. Introduction to follow-up care, in which you are introduced to programs you can continue with after your in-house treatment is complete. How to Choose the Best Alcohol Residental Treatment? If you have weighed the options between outpatient and inpatient care and decided that inpatient treatment for alcoholism is the best choice, the next step is to choose where to get that treatment. It is important to not make a rushed decision when choosing an inpatient alcohol rehab option, because the more comfortable you are with the program you choose, the better it will work for you. Ask for a list of therapies and treatments provided. Make sure they treat both the physical and the psychological aspects of alcohol addiction. Ask the facility to send you a sample treatment plan, in writing. Ask how long a stay they recommend. The most common length of stay at inpatient alcohol rehabilitation centers is 28 days, but in some cases, a longer stay can increase your chances of achieving sobriety. Ask about relapse rates. If the facility cannot supply them for patients who have completed their recovery program, or if they seem reluctant about discussing them, keep looking. Ask what they do to relapses. Do they offer family services and ongoing support groups? These programs can greatly increase your chances of recovery after you return home. Ask about amenities that are important to you. For example, availability of gyms or sports facilities, horseback riding, luxurious grounds, chef-made meals, etc. This may seem unimportant now, but how comfortable you are at the facility can be a huge boost to your chances of making it successful. If possible, visit the facility. You are, after all, going to spend some time there, so you should get to know it and make sure you will be happy there. 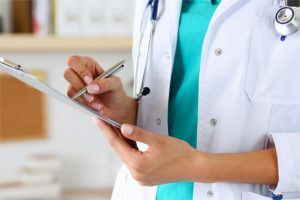 We hope that this overview of inpatient alcohol treatment helps you to find the treatment program that best suits you. We also understand that finding the right program can at times appear difficult, or even a little scary. So if there is anything we can do to help, give us a call at our 24-hour hotline at (888)-459-5511 to speak with a knowledgeable representative.